Patricia McConnell, Ph.D., a Certified Applied Animal Behaviorist (CAAB), has made a lifelong commitment to improving the relationship between people and animals. She is known worldwide as an expert on canine and feline behavior and dog training, and for her engaging and knowledgeable dog training books, DVDs and seminars. Patricia has seen clients for serious behavioral problems since 1988, and is an Adjunct Professor in Zoology at the University of Wisconsin-Madison, teaching "The Biology and Philosophy of Human/Animal Relationships. For fourteen years she dispensed advice about behavior problems, and information about animal behavior research, on Wisconsin Public Radio's Calling All Pets, which was heard in over 110 cities around the country. Join us for an interesting conversation about your beloved pets. "Is De-extinction a Game-Changer for Biodiversity Conservation?" For over 3.5 billion years extinction has been forever, but rapid advances in biotechnology may soon make it feasible to resurrect extinct species, such as the Passenger Pigeon. This epic event would have many technical, ethical, legal and ecological implications for biodiversity conservation. Given many uncertainties and possible unintended consequences, how should we proceed? For 32 years Stan occupied the faculty position once held by Aldo Leopold and while in that position earned every teaching award for which he was eligible. He and his students have worked on endangered species problems in 21 different countries, and have helped save some of the world's rarest and most endangered species, especially birds. Stan has received recognition for his work in conservation from numerous organizations, and has authored over 330 publications. He has long been interested in passenger pigeons, having analyzed historical records of the species that were first assembled by A. W. Schorger for his 1955 book on the life history and ecology of the species. Jonathan Patz, MD, MPH, the John P. Holton Chair in Health and the Environment, is committed to connecting colleagues from across campus and communities around the world to improve health for all. Patz brings this collaborative spirit to his role as the inaugural director of the Global Health Institute (GHI). Patz’ vision for UW-Madison—a view shared by his GHI colleagues is to utilize the full breadth and depth of the university to confront today’s most pressing global health problems and, in so doing, educate and inspire the next generation of global health leaders. Patz’ ongoing research includes the application of best practices around the globe for climate mitigation strategies and showing how they will also benefit health. He also practices what he preaches, from installing solar panels on his home roof to commuting by bicycle. He leads by example, both on and off campus, trying to make the world a better place at every opportunity. Jeremy Hemberger is a UW Madison graduate student in entomology with specific interests in native pollinators, conservation, ecology, and invasive species dynamics. His current research focuses on bumblebees, their habitat and lives. Seventy percent of the world’s crops benefit from insect pollination and bees are the best at this endeavor. Understanding what landscape helps them thrive is crucial. Do bees on a prairie spend less time searching for food than those in a cornfield? How much time do bees spend foraging and resting based on their resources? Answers to these and other questions will help optimize both the habitat for bees and the pollination potential for crops. Join us to learn how bees are followed using new technologies, including RFID (radio frequency identifier tags)! Forest ownership and conservation are changing in the Northwoods and throughout the United States. Private and public forestlands are critical for natural resource production, outdoor recreation, wildlife habitat and water quality, yet they are increasingly threatened by development, invasive species and other local and global changes. Changes in large forest ownership have been some of the most dramatic over the past 15 years. The ways we define and talk about property shape our expectations for landowner and community member rights and responsibilities. Join UW-Madison professor Adena Rissman as she explores these important topics. Adena will also discuss how the changing mix of tools such as conservation easements, public lands, tax policy and certification are shaping forest management and resource stewardship. 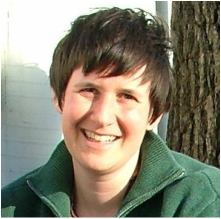 Adena Rissman is an assistant professor of Human Dimensions of Ecosystem Management in the Department of Forest & Wildlife Ecology at UW-Madison. Her research investigates the relationships between society and the environment in ecosystem management, conservation and sustainable use. Warren joined the University of Wisconsin School of Pharmacy in 2007 as an Assistant Professor (CHS) in the Pharmacy Practice Division. Prior to arriving at UW, he earned his Pharm.D. from Butler University and then completed a PGY-1 residency in pharmacy practice at Rush University Medical Center in Chicago, IL. Following residency training, he then completed a post-doctoral fellowship in infectious disease pharmacotherapy at the Anti-Infective Research Laboratory at Wayne State University, Detroit, MI. Warren's translational research interests involve the pharmacodynamic effects of antimicrobials on antibacterial resistance development and virulence expression. His laboratory incorporates multiple in vitro modeling systems to simulate antimicrobial exposures against multi-drug resistant pathogens. These studies are used to evaluate optimal antibiotic activity, antibiotic penetration into simulated infections, the development of antibiotic resistance, and virulence His clinical studies involve the impact of patient immune responses and bacterial virulence on the treatment outcome of invasive S. aureus infections. Occupying more than 94,000 square miles, home to 35,000 islands, and containing 21% of the world’s fresh water, the Great Lakes form the largest group of lakes on Earth. These inland seas and their surrounding basins are vital habitat for thousands of wildlife species, the source of drinking water for 40 million people, and the economic engine of the Midwest. And, they are not without their challenges. Jim is currently director of the UW Aquatic Sciences Center, which houses the UW Sea Grant Institute and the UW Water Resources Institute. Both programs are federal-state partnerships which support research, outreach and education in support of sustainable uses of our state's natural resources. Jim's recent research has centered on cycling of mercury in the aquatic environment. He plans to continue to conduct research on low-level trace metal cycling, especially with regard to factors affecting bioaccumulation in plankton and fish. Jim plans to utilize stable isotopic techniques to study transport and transformations of trace metals in the environment. Jim's past research has also focused on natural organic compounds in lakes and rivers. He is particularly interested in developing research projects that build on our experiences studying natural aquatic pigments (chlorophyll, carotenoids and other accessory pigments) and gaining better insight into processes responsible for production of key algal toxins in Wisconsin waters. Dr. Michael McGill comes from Winfield, Illinois, where he was the Director of Nuclear Cardiology at Central DuPage Hospital. He received his medical degree from the Loyola University Chicago Stritch School of Medicine. He completed his internship and residency in Internal Medicine, as well as fellowships in Cardiovascular Medicine and Nuclear Cardiology, at the University of Wisconsin Hospitals and Clinics in Madison. Dr. McGill is Board Certified in Cardiovascular Disease, and he is a Diplomat of the National Board of Medical Examiners and the Certification Board of Nuclear Cardiology. He is licensed to practice in both Wisconsin and Illinois. Michael has a special interest in educating patients about preventing heart disease. His ​goal is to build resources and diagnostic tools to detect heart disease in its earliest stages. If we diagnose problems early, we make the greatest impact in preventing advanced heart disease, and have the best chance to help patients live long and healthy lives. As a family, they are involved in the community through fitness events that raise funds for area bike trails. I feel that it is vitally important to support resources that contribute to healthy lifestyles. There is nothing better than a bike ride through the beautiful Northwoods. Steve Deller is a professor of Applied Economics at UW-Madison. Steve’s long-term research interest includes modeling community and small regional economies in order to better understand the changing dynamics of the economy, assess the impact of those changes, and identifying local economic strengths, weaknesses, opportunities and threats. Research topics have included Bio-Diesel Refineries, Economic Growth, Tax and Expenditure limitations, Trade Analysis of Wisconsin Retail Markets, Mining and Community Economic Growth and Property Tax Limits & Fiscal Burdens. Join us to discuss the future economic opportunities and challenges that face the Northwoods. Join Jim Leary to learn more about our Scandinavian heritage. From 1937-1946 folklorists working for the Library of Congress recorded old time lumber camp performers throughout northern Wisconsin and the Upper Peninsula of Michigan. This presentation draws from a new book/multi-CD compilation--Folksongs of Another America: Field Recordings from the Upper Midwest, 1937-1946--to feature digitally restored examples of lively step-dance tunes and songs concerning fierce cold, cheerful toil, sudden death, bad food, and sportin' houses.